It’s a grey, grey day. The nights are drawing in. A gang of crows has settled noisily on the roof of the house opposite, as if sent by Ted Hughes in a bad mood. Most of all, the state of the world in general and UK politics in particular is super-dismaying. So of course I found a blanket and sat down with a book that dropped through the letter box and wasn’t even pre-chewed by the dog before I got to it. 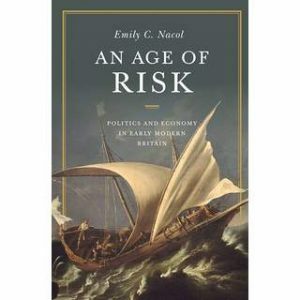 The book is An Age of Risk: Politics and Economy in Early Modern Britain by Emily Nacol. Sometimes all you want to do is bury yourself in a scholarly book about 18th century philosophers. 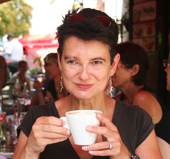 ‘Every thing that is unexpected affrights us,’ he wrote. Like the superb behavioural economist he was, Hume roots this in a diagnosis of cognition. Hume specifically discussed the ‘groundless fear’ of open international trade. Nacol argues that he counters this by suggesting that an open attitude to risk-taking will enrich all parties. I wonder how far Hume would get with his argument these days? (NB, rhetorical question).